This Stylish Black Trolley has multiple drawers and plenty of space for your supplies and styling appliances. It is perfect for beauty salons, tattoo shops, pet groomers, nail technicians and other professionals. 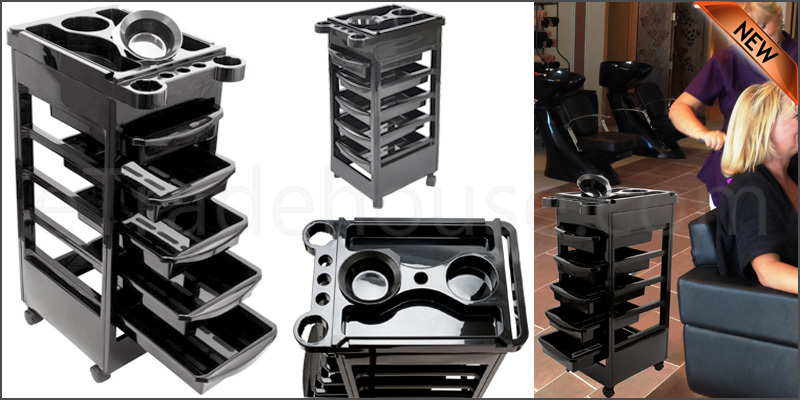 A perfectly designed trolley for salons. Removable drawers make it comfortable to use. To enhance work space, drawers can be fixed on the top side of trolley.